A growing number of “age management” clinics across the country are beginning to seriously market testosterone therapy treatments as a means of combatting the natural side effects of growing older. More often than naught, we associate the transformative aspects of supplemental testosterone injections with transmen in the process of transitioning. But as Dr. Paul Campion explains in a lengthy profile in Fusion, the community of proponents for testosterone as a rejuvenating agent is growing larger. "The emerging popularity of testosterone has opened up whole new business models for entrepreneurial doctors. Chains of shops that provide the hormone have exploded all over the United States, especially across the South. 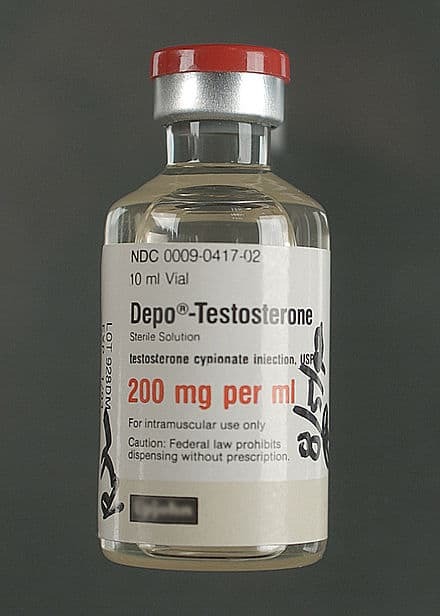 How many millions more men might be willing to try testosterone if it was easy to acquire, and a clinic happened to implant itself in an adjacent office building or a local strip mall, next to an abandoned video store and the Starbucks?" Between 2001 and 2011 the number of men over the age of 40 taking testosterone supplements increased by nearly threefold. Today nearly four percent of men over the age of 60 report using products like AndroGel, a popular testosterone product. While lower testosterone levels are a recognized health risk for many, the recent spike in use and purchase of “t-products” is thought to be directly connected to increased marketing efforts billing the drugs as fountains of youth. According to a study published in JAMA Internal Medicine, one in four men are prescribed testosterone supplements without having consulted their physicians about whether or not the drugs are safe for them. As Fusion points out however, the market seems willing to pay the financial price and take the physical risks associated with a testosterone-fueled shot at a second adolescence.